Athens does not feel any external pressure to find a solution to the name dispute with the Former Yugoslav Republic of Macedonia (FYROM), Greek Minister of Foreign Affairs Nikos Kotzias said on Monday (22 January). 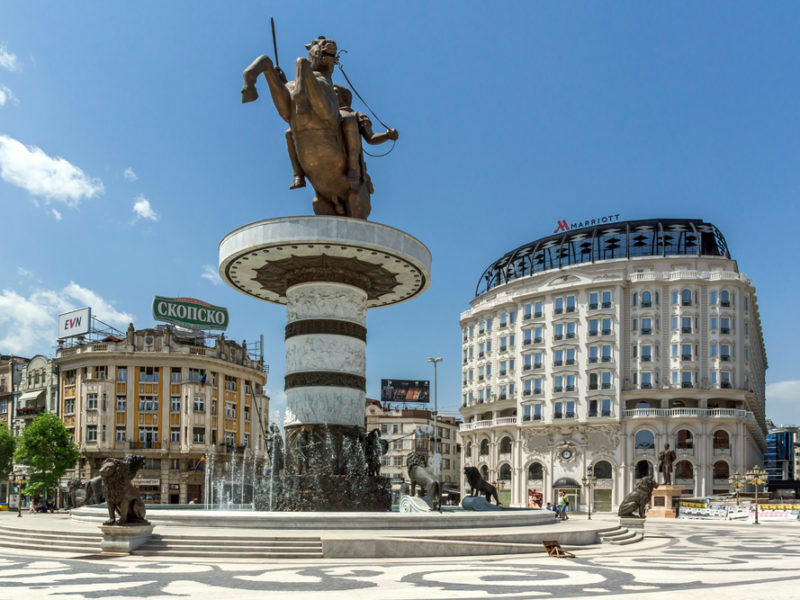 On the contrary, the pressure is on Skopje to end the dispute in order to move forward its EU accession talks, he claimed. “No one is pushing us. Nor will we allow anyone to do so. The Greek diplomacy takes advantage of the pressure on the other side [which aims] to open up its EU path. This is not putting pressure on us,” Kotzias said. 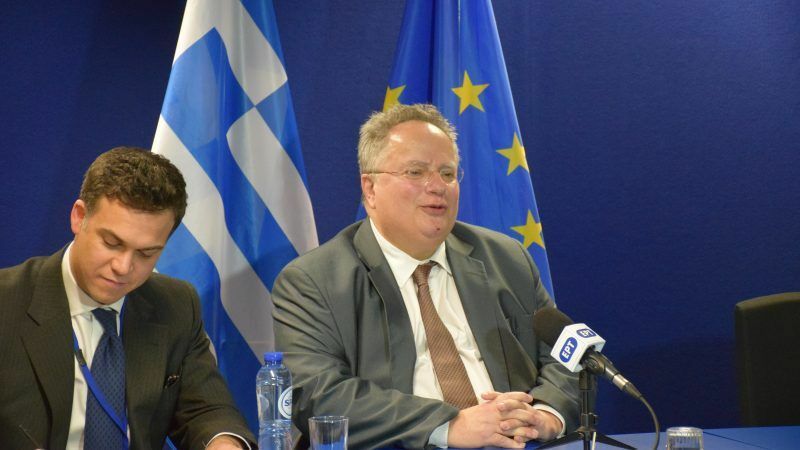 Speaking following a meeting of EU Foreign Affairs Ministers, Kotzias pointed out that the protests that took place in the country opposing the inclusion of the name “Macedonia” won’t affect the ongoing negotiations. “The protest was an expression of the anguish of Greeks, who sometimes mistakenly identify the negotiation with the fate of Greek Macedonia,” the Greek official said. On 21 January, more than 90,000 demonstrators took to the streets of Thessaloniki asking the government not to negotiate a name that would include the term “Macedonia”. FYROM’s prime minister, Zoran Zaev, will meet Greek counterpart Alexis Tsipras on 24 January on the sidelines of the World Economic Forum in Davos. 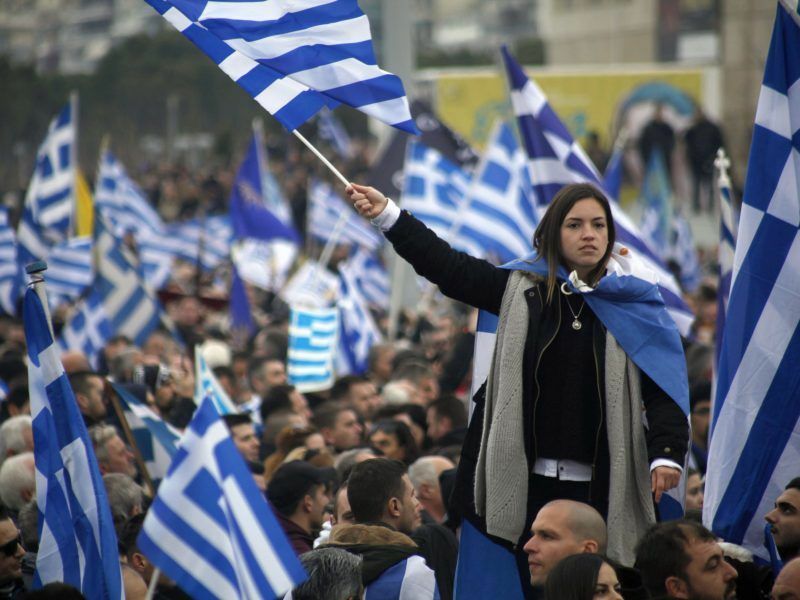 In the meantime, the Greek government clashed with the main opposition New Democracy party, an affiliate of the European People’s Party (EPP), over the protest in Thessaloniki. Centre-right New Democracy leader Kyriakos Mitsotakis said that the participation in the protest was “impressive”. “I respect and share the sensitivity of the people on the issue,” he said, adding that the protest also expressed the indignation of the citizens towards a government that moves in secret. Previously, Mitsotakis had said that it was a personal decision of each member of the party to participate or not in the protest. Some members of the party, who are elected in Northern Greece, indeed took part. Opposition parties are also irritated by the right-wing junior coalition partner Independent Greeks, who have announced they would not support a solution that includes the name “Macedonia”. The ruling leftist party Syriza insists that their government partner will ultimately follow the common line. They accuse the opposition of not having a joint position on the name dispute due to some “extreme-right” members in its ranks. At the NATO Bucharest summit in 2008, Greece’s right-wing prime minister, Kostas Karamanlis (New Democracy), blocked Skopje’s bid to join NATO under its provisional name FYROM. 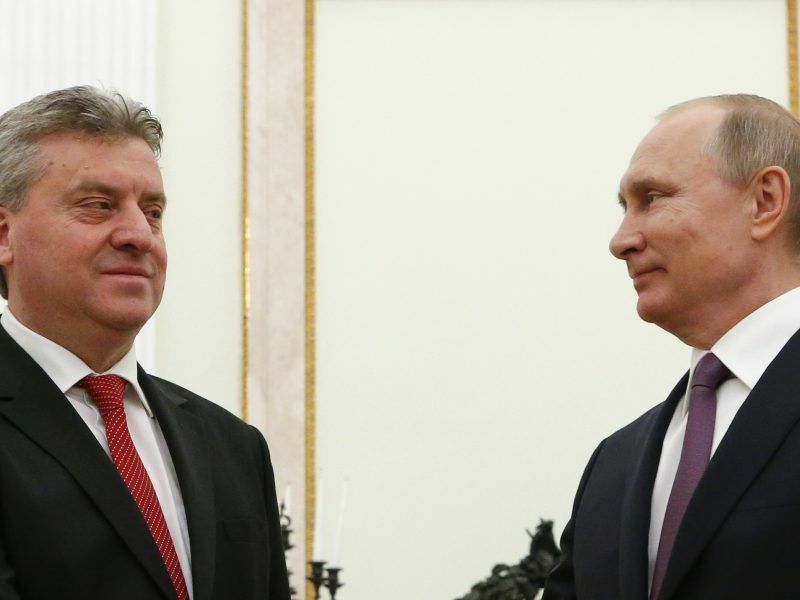 EU divisions were apparent on the eve of the NATO summit in Bucharest on 2-4 April with several heavyweights, including France, opposed to the planned Eastern expansion of the military alliance. EURACTIV Romania contributed to this report from Bucharest. At the time, the government insisted on a compound name before the word “Macedonia” to be used in relation to everyone (erga omnes). This is also the position of the leftist Syriza. Antonis Samaras was the minister of foreign affairs under the government of Konstantinos Mitsotakis, the father of Kyriakos Mitsotakis who governed the country from 1990 to 1993. Back then, Samaras, who is still a New Democracy lawmaker, disagreed with the inclusion of the term Macedonia and for this reason, broke up from the party leading to the collapse of Mitsotakis government. In the European Parliament, one influential German lawmaker called on New Democracy politicians to stop the “dog fights” and give their leader Kyriakos Mitsotakis a chance to implement his ambitious program for the country against Tsipras populism. What the Greeks are doing with their FYROM-nonsense is against all European values. European are supposed to reconcile with their neighbors, not artificially creating problems against them. In that sense Poland and Hungary are not the only problem in the EU.